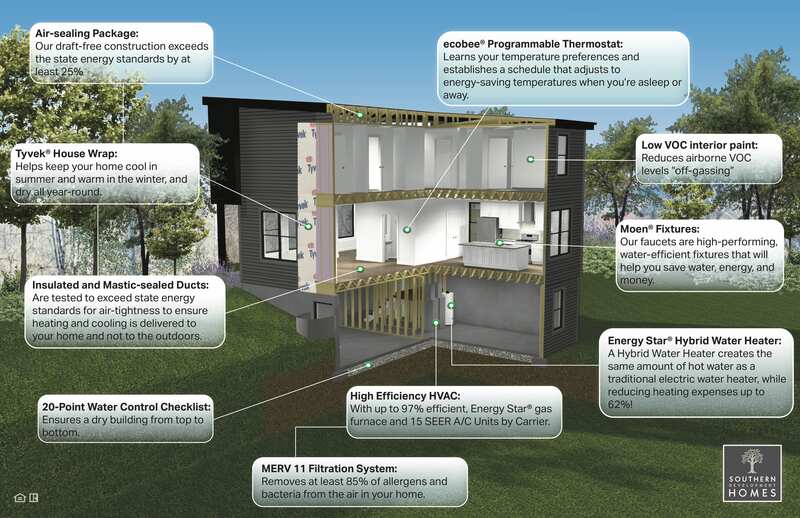 All Southern Development built homes feature our green building EcoSmart program that includes a 100+ point check list that delivers lower utility costs, enhanced indoor air quality, increased comfort, added resale value, and reduced home maintenance costs. Third party inspectors verify and test each house to make sure it exceeds the nationally recognized Energy Star® criteria so you can enjoy year-round comfort, less maintenance, lower utility bills, enhanced indoor air quality, and added resale value without any extra effort. 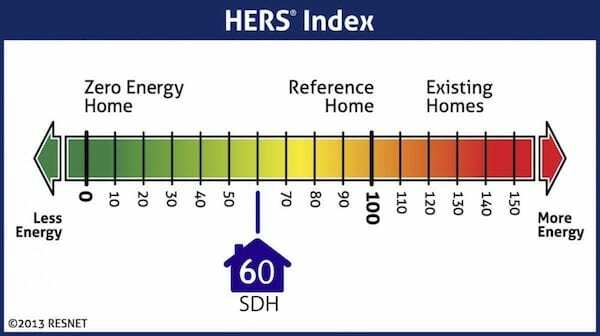 The Home Energy Rating System (HERS®) Index is the industry standard by which a home’s energy efficiency is measured. The HERS® Index Score will tell you how well the home performs energy-wise. SDH averages a HERS® Score of 60, which is 15-20% lower than the required HERS® Score by Energy Star® standards. With optional extras, some homes can achieve a HERS® Score of 0! SDH HERS® Ratings are provided by Think Little - An objective third-party Rater.